BSN’s EVOTest Reviews (NEW 2019) - Does BSN’s EVOTest Work? BSN’s EVOTest is a testosterone-support supplement that has received mostly positive user reviews from consumers. It is sold as either a powder-based dietary supplement that is currently sold in a few fruit-focused flavors (black cherry, orange) and or a tablet form. This product can be purchased online for as low as $30 per 30-day supply. 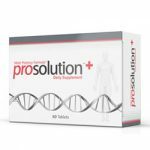 The promised benefits of this product include a complete blend of testosterone-support compounds, according to official product descriptions. Such compounds include D-aspartic acid, magnesium oxide, and vitamin D. Additionally, EVOTest does not contain any pro-hormones. What are the Ingredients in EVOTest? The complete EVOTest formula (powdered form) contains the following ingredients: Vitamin D, magnesium oxide, D-aspartic acid, ginger extracts, lactic acid, N-acetyl-cysteine, suma root, cordyceps extract, ginkgo extract, Linum usitatissimum extract, cholecalciferol, sodium bicarbonate, citric acid, malic acid, natural and artificial flavors, caramel color, cellulose gum, sucralose, and acesulfame potassium. EVOTest only needs to be taken twice per day for a full three-week cycle in order to deliver its promised benefits. For optimal results, this product should be combined with an intense exercise/lifting schedule. 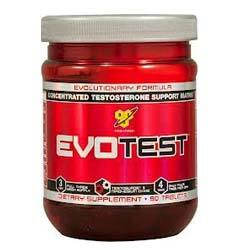 EVOTest is claimed to work by providing nutrients essential for proper testosterone production. However, unlike traditionally formulated men’s health supplements, EVOTest does not rely on herbs like Tribulus terrestris to provide its promised benefits. Instead, “novel” ingredients are used in this product, according to official product descriptions. Clinical studies to prove the claimed benefits of either the ingredients used in EVOTest or of the completed EVOTest formula are not cited online at the time of this review. What are the Benefits of EVOTest? All of the ingredients in EVOTest are listed online. There are many positive user reviews, with users praising it for helping them to gain better lifting results from their gym time. This product is sold in both tablet and powder form. What are the Drawbacks of EVOTest? Many users complain that that EVOTest’s flavors taste terrible. This is a relatively expensive product, particularly if purchased through certain retailers. 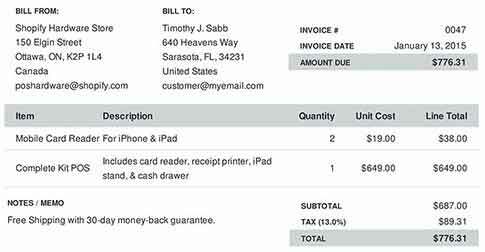 Purchases might not be endorsed by a money-back satisfaction guarantee. Clinical studies are not cited for this product. EVOTest’s ingredients are certainly unique to it, and the fact that most of them are listed as parts of proprietary blends makes it difficult to accurately assess their probable effectiveness. However, most of the user reviews for this product claim that it really is effective; it just tastes terrible. Overall, while EVOTest may very well deliver its promised benefits, the fact remains that there are probably other more proven, better tasting, and more affordable supplements on the market today.